So we've lived in the L.A. area for just over seven months (time flies, right?) but I thought I would put together a list of a few of our favorite things to do in the city, just in case you are ever in the area. This will be my first city guide and hopefully not my last -- so here goes! 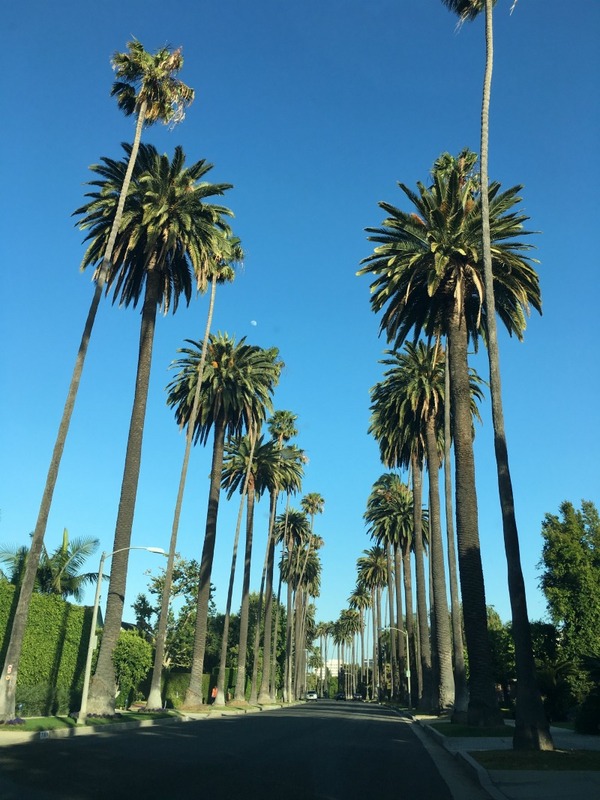 L.A. is similar to New York City in that each time I go, I can create my own unique experience. Each time we visited NYC, we stayed in a different area -- and each area has such a different vibe. I feel the exact same way about L.A. It is so versatile and you can go from people watching on Venice Beach to watching a Red Carpet event in Hollywood. Celeb spotting is fun too. It can be a crazy place, but you can really customtize your experience -- the possibilities are endless! We like to go to L.A. on Sundays because traffic is almost non-existent and everything is so much less crowded. Coffee: my favorite coffee shop is Alfred Coffee on Melrose Pl. It is Instagram Gold, trust me. 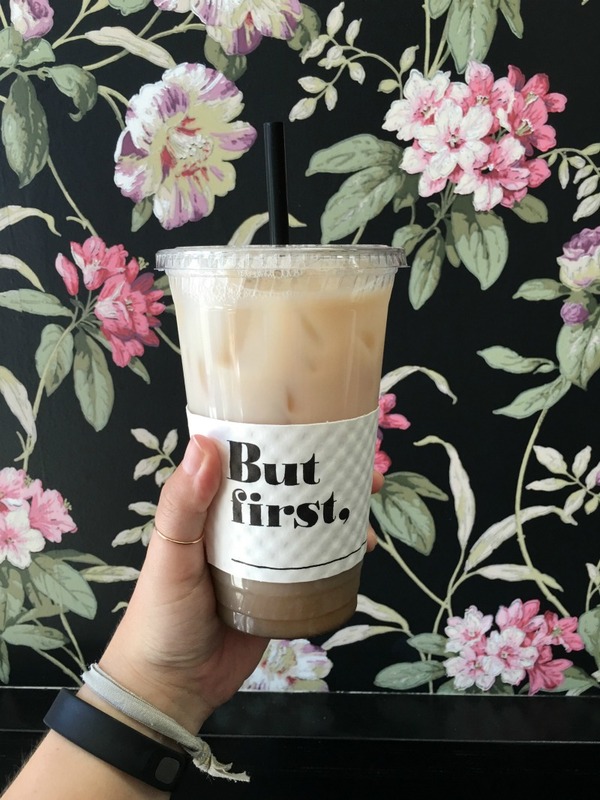 And my favorite drink is not even coffee - it's an iced chai tea. So good! They also have a Tea spot really close. It is also a must try! Healthy Spot: Sweetgreen. I wish we had this place closer to home, because it's so good. Have you ever had Chopt? - it's on the East Coast but sadly has not made it's way to the West coast yet. This is one way to get me to eat salads and I will definitely take what I can get. Museum: (so far) The Broad. The architecture of the museum is spectacular and one of my favorite things is that you can even see how they store items they are not currently showing -- a behind the scenes look, if you will. 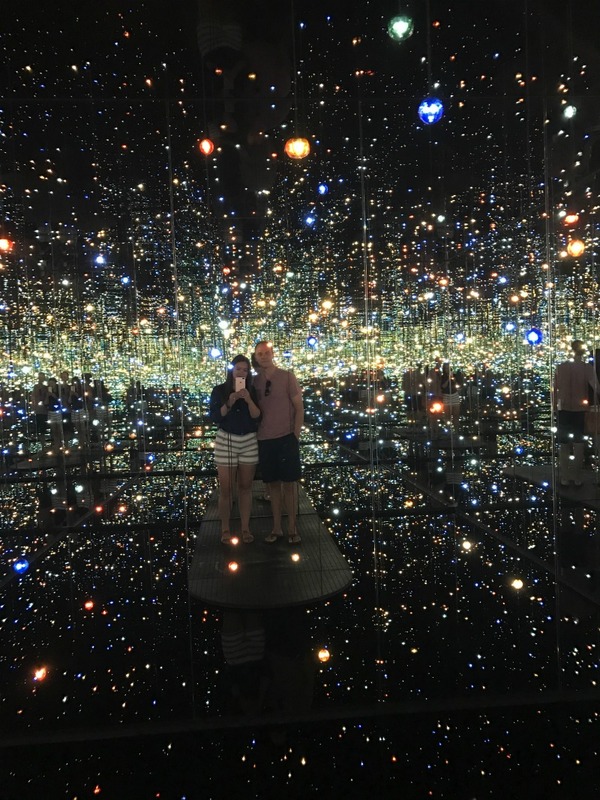 Jake and I got to spend 45 seconds in the Infinity Mirrored Room below and it was amazing. Highly recommend! It's hard to get into, but if you can get tickets right when the museum opens (they're free), you should be able to get a time to see this room. In other exciting news, the museum is getting 6 more rooms like this in October 2017. Fast Food: In-n-out (duh). Except there is a Shake Shack in Hollywood now, so... Shake Shack. 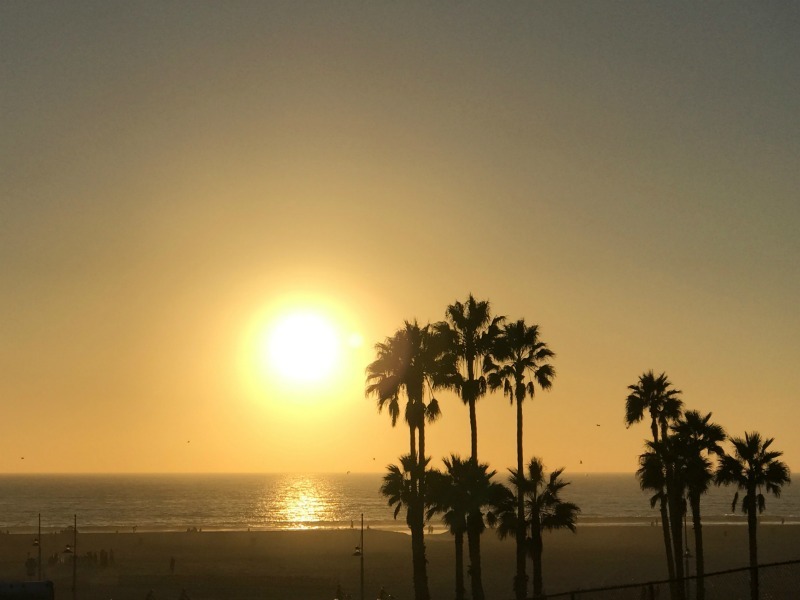 Beach: Santa Monica. The mountains in the background (not pictured in the photo below) are so picturesque. Must see! Restaurant: Gracias Madre. Makes me want to seriously become a vegetarian. 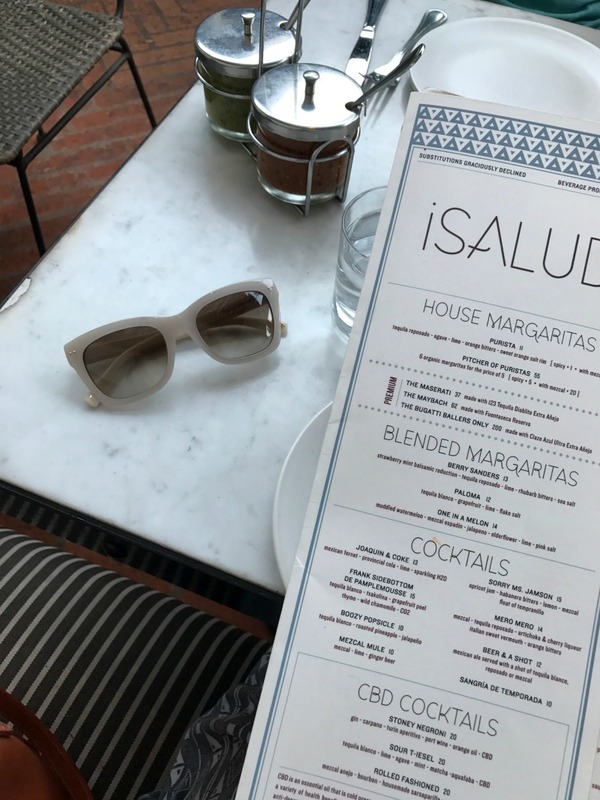 Everything here is good, the drinks + the food + the atmosphere. You get the idea. Drive: Pacific Coast Highway. Believe me, what they say is true. We are dying to go on a road trip up the Pacific Coast Highway to San Francisco. Hopefully we can make that happen this year. We are still working on our travel plans this year. So far the list is shaping up quite nicely: Palm Springs, San Diego, Nashville, Seattle, Austin, Catalina Island, Hawaii ... and hopefully an international location if we can squeeze it in! 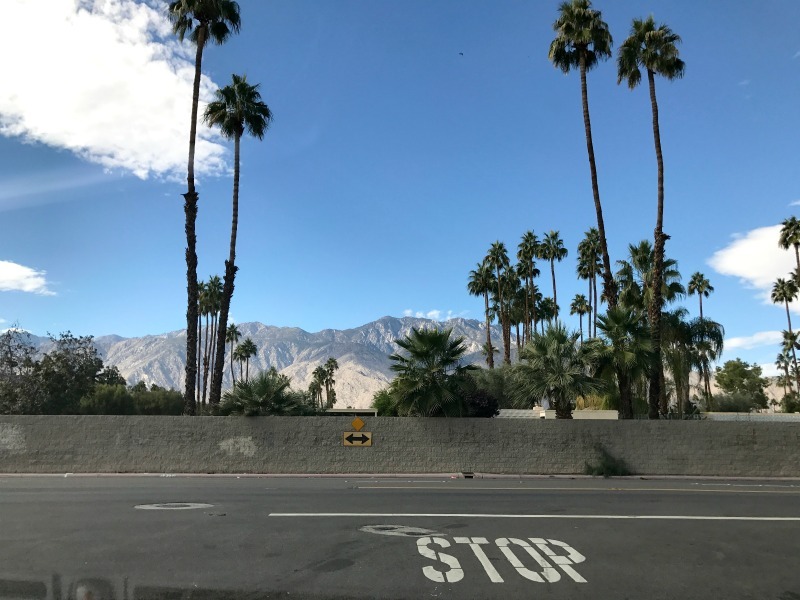 Roadtrip: Palm Springs! We're going again next month and I cannot wait! Still on my to do list: Getty Villa, LACMA, Laguna Beach, The Grove. Basically the list of things to explore in this area is endless. I have never lived in a place with so much to do before. At times it can be overwhelming, but it's important to decide what your priorities are first. Then it helps you to narrow down what kind of experience you want to have. I first heard about eyebrow microblading (semi permanent eyebrow tattooing) this summer and was immediately intrigued. If you know me in person, then you know that when I start researching something, I quickly become obsessed. Jake says, just wait until we have kids and they take on that trait... I am in for a real treat, ha. When I was in college, I started wearing makeup for the first time and began wearing eyeliner every day. It was a rare sight to see me without eyeliner on. Then, a few years after college I started really paying attention to my eyebrow shape. I quickly realized that in order to achieve the angular shape I was looking for, I would need to get my brows waxed and tweezing alone was not going to cut it anymore. So, I visited the Benefit Brow Bar at Macys and got my brows waxed for the first time when I was 26. I was hooked and to this day, I have been getting them waxed religiously! I have been trying to grow fuller brows ever since. I've tried all kinds of things such as LiBrow, coconut oil, and pre-natal vitamins (no, I'm not pregnant). Within the past few years, I also started tinting my brows which is another good option if you are looking for fuller brows. 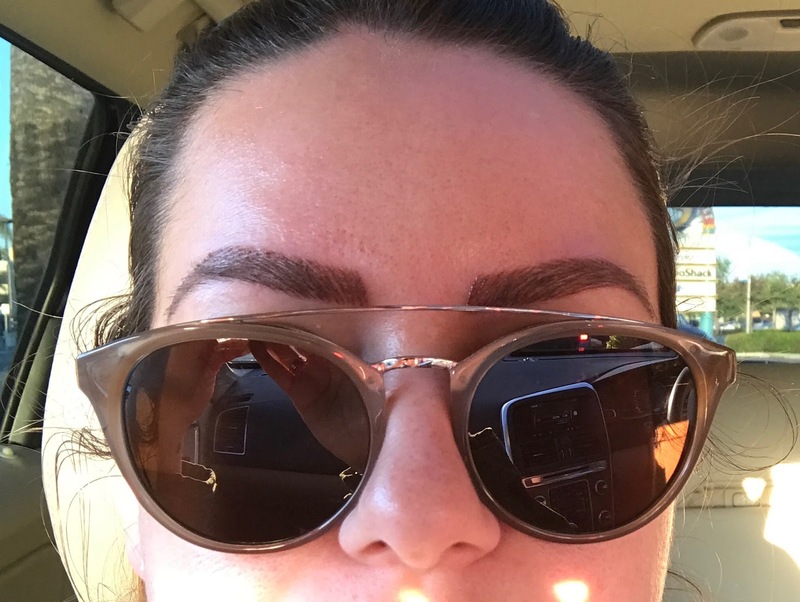 So, I would encourage you to get your brows tinted before you opt for microblading. And if the tinted brows aren't enough (it's OK - they weren't enough for me either), then, by all means, proceed. Just a note - I am not wearing any eyebrow makeup in any of these photos. Fast forward to 5+ years later, I am sill growing out my eyebrows. So when I read about microblading, I decided it was the perfect solution. I would get fuller eyebrows with minimal work. Have you googled microblading yet? If not, it's a semi-permanent tattoo, but instead of using a single needle, the artist uses a manual tool to freehand tiny hairlike strokes onto the skin, which mimic the look of real hairs. This type of tattooing is softer, more subtle and is meant to be a natural-looking enhancement. Body tattoos use ink while cosmetic tattoo procedures involve pigments. These pigments are designed to gently fade over time. The tattoo should last 1-3 years with touch ups needed every 12-16 months. I got my brows waxed about a week before my microblading appointment. My aesthetician drew on these lovely arches so I could envision what my brow shape could look like, with thicker brows. No, it is not a Halloween costume, Jake! 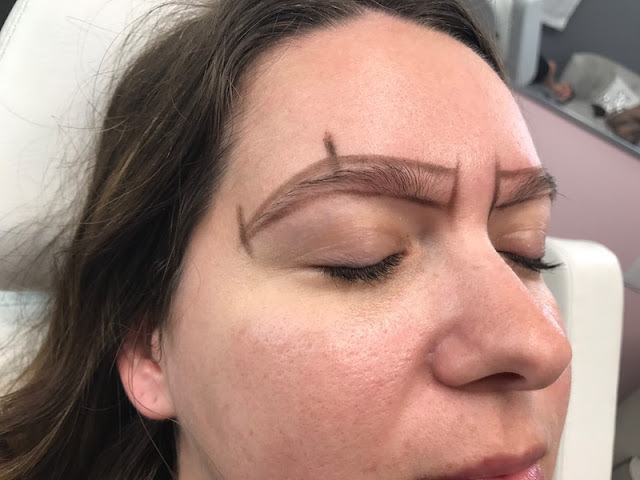 My microblading artist did a similar exercise at the beginning my appointment, but I don't have any photos of that, so these will have to do. At the end of the microblading process, she handed me a mirror and it was time for the big reveal. This was one of my favorite parts! She wiped off the pigment and bam! I got to see my brand new sparkling brows for the first time. I was speechless and so happy with the results! If you go to Paris' website (linked above), you can read about the specific aftercare instructions. I will say the hardest part of aftercare for me was not getting my brows wet for at least a week. We stayed at a hotel after I got them done and it didn't have a bathtub, so I took a VERY CAREFUL shower and attempted to wash my hair. Not an easy task, but I made it! Also, on days 2 and 3, my brows were really dark to the point I was VERY self conscious to go out in public... it almost looked like they were tattooed on (like a real tattoo), so once you get through the first couple days, it gets better, I promise. As you can see in the photos below, most of the pigment falls out after about two weeks and the eyebrows lighten up considerably. Four weeks after my initial appointment, I went in for a touch up which was super quick and relatively painless. Basically, it's an opportunity to review how your skin took the pigment and to touch up any areas that are looking too sparse. Many people don't even need to do a touch up, so again, it depends on how your skin reacted and healed from the initial appointment. You should follow the same aftercare instructions as the initial appointment. Again, your brows will be significantly darker than normal for a few days after, so be prepared and avoid any important things directly after. Overall, I am very happy with the results! I am so glad I finally decided to go through with the process. I used to fill in my eyebrows every single day, but I rarely use brow makeup now and my brows are always "on"! While I did experience some pain during the appointment, it wasn't the worst pain in the world and it was totally worth it. Questions? Comments? I'd love to share more of my experience and answer your questions, please reach out if there is anything else you want to know. As you know, I am an open book! Merry Christmas and Happy Holidays and all that jazz... Guess what? We made it to a new year! Despite both of us being sick for the past few days, I am optomistic for what is to come in 2017. We are just finishing up spending nearly two weeks visiting friends and family in Seattle and Portland (#welovethePNW) and are looking ahead to several more weekend-type trips this coming year. If you know me, then you know one of my favorite parts of starting a new year is trip planning! I am hopeful that we can maybe do an international trip (Tulum? ) in 2017, since we skipped doing one in 2016 due to our second cross country move. But, more to come on our travel schedule once we get that ironed out. I will be starting another round of 21 day fix tomorrow. Read about my prior results here. 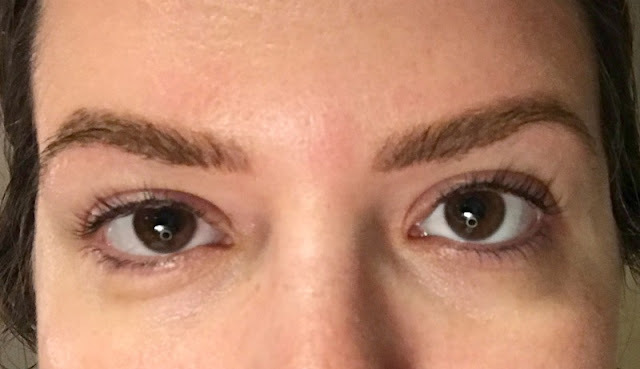 I recently got my eyebrows micro-bladed (yes, it did hurt a tiny bit but it was totally worth it!) and will be sharing more about my experience on the blog coming soon. Paris Elyse worked her magic and I cannot wait to tell you all about it! This mini travel steamer I got for Christmas has changed my life. Seriously. How did I survive so long without this thing? That's it! Just wanted to share a little bit of what I/we've been up to lately. How are you starting 2017 off?